I love setting the Thanksgiving table. 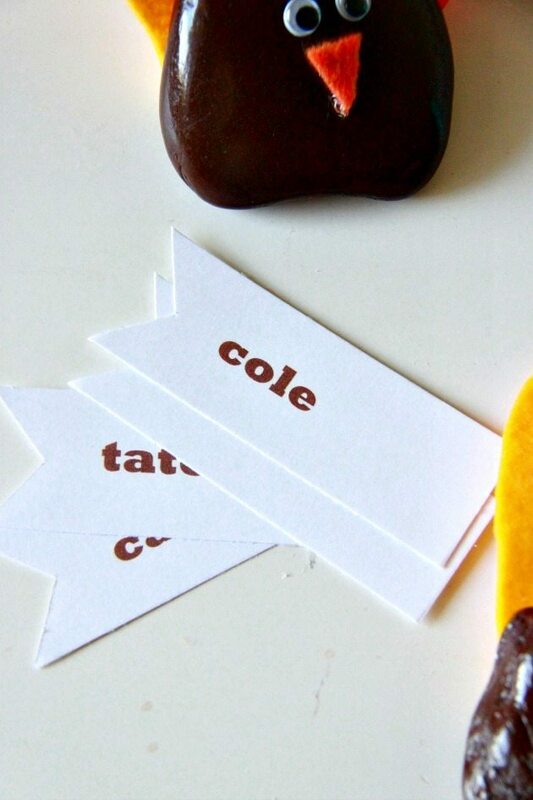 One of my favorite things at the Thanksgiving table, besides you know the food, is a really cute name place card. 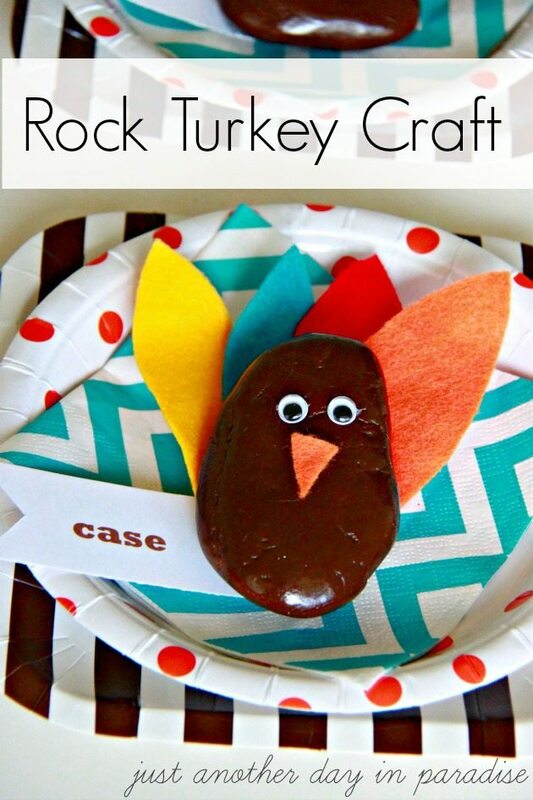 This year, I made really cute Rock Turkey name place cards for the kids Thanksgiving table. There were so easy and fun to make. This is also a pretty kid friendly craft. 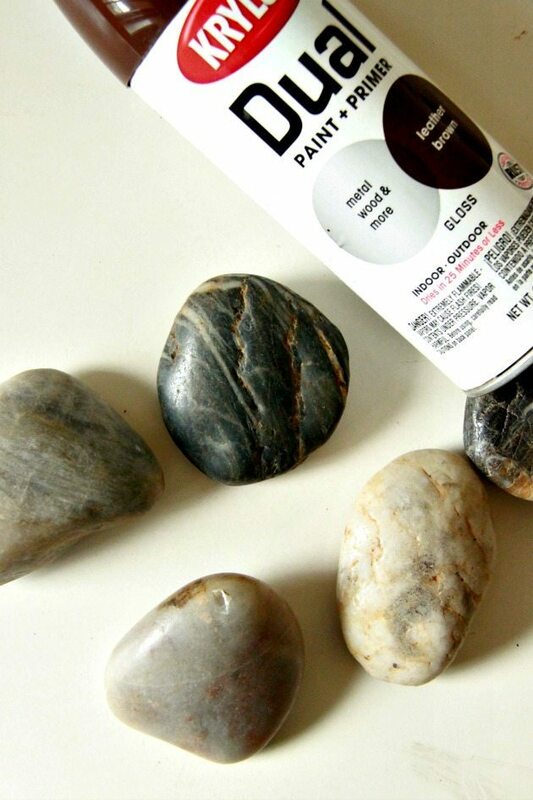 All you need is: rocks brown paint felt google eyes hot glue I started by spray painting all my rocks brown. 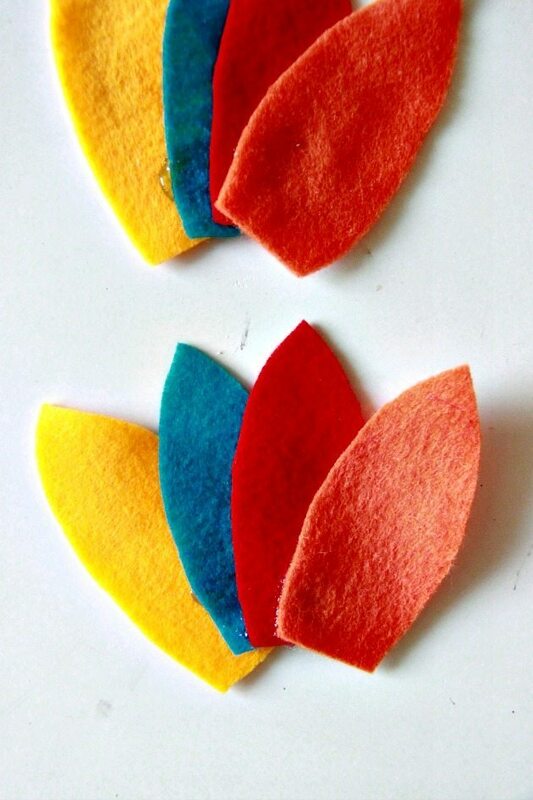 I cut out feather shaped pieces of felt in orange, red, turquoise, and yellow. I also cut out tiny beak shaped triangles. 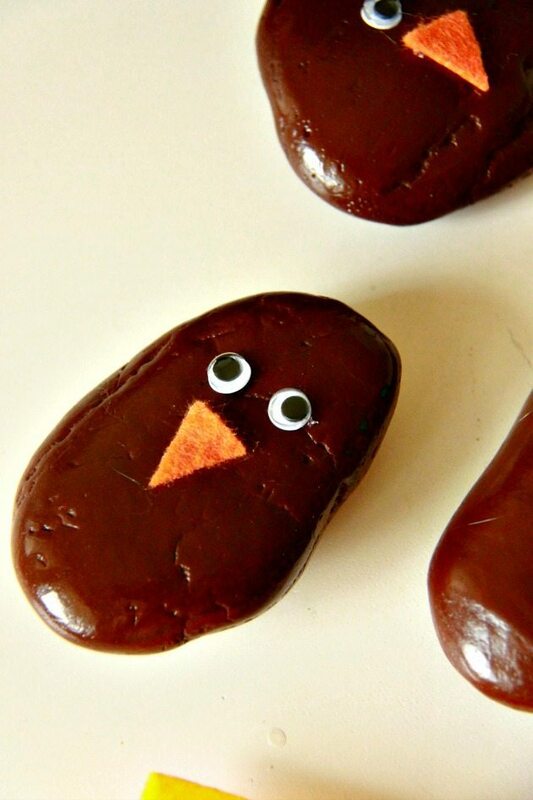 Then hot glue the google eyes and the beak onto the rock. 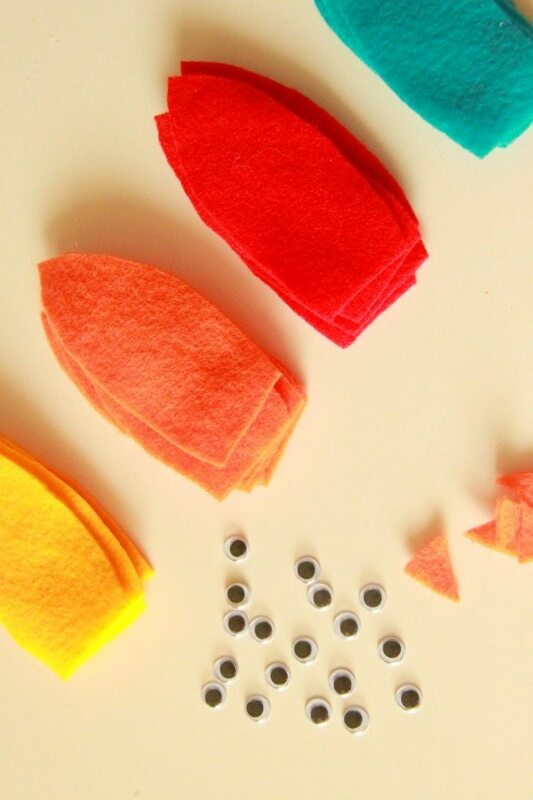 Glue a yellow, turquoise, red, and orange feather together in a fan pattern. Put a large circle of hot glue at the base of the feather fan and firmly press the rock onto the glue. Let the glue dry to make sure it sets. 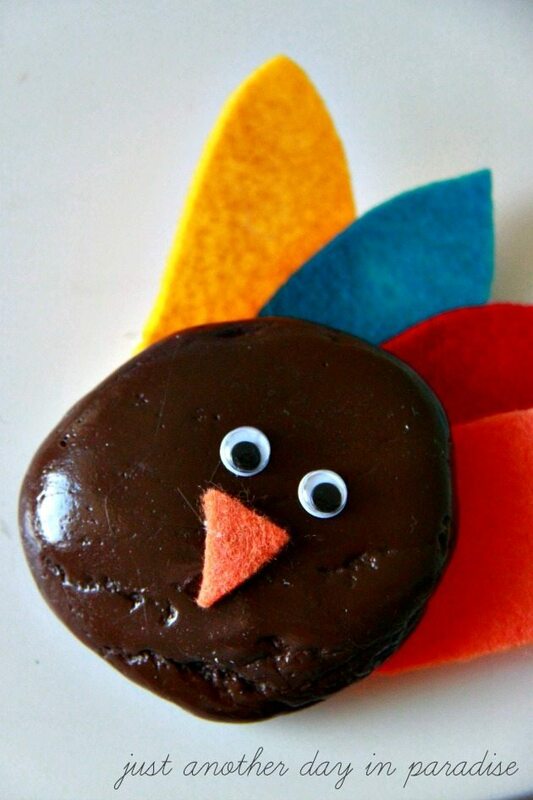 You can be done here, or you can add a name tag to make it a place setting for the kids' Thanksgiving table. 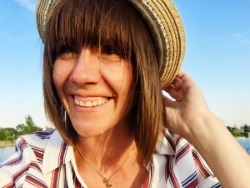 To add the name tag, just print off the name on a piece of card stock and cut into strips. 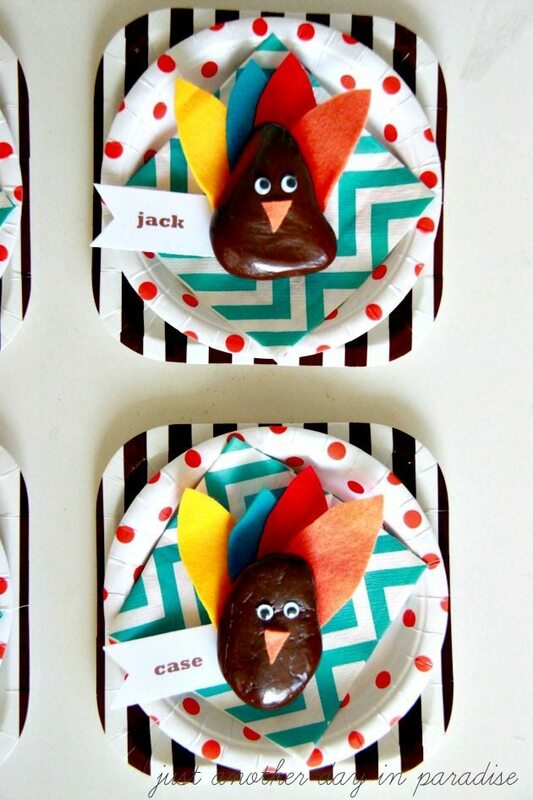 Set the Rock Turkey name card on top of a stack of cute patterned paper plates. 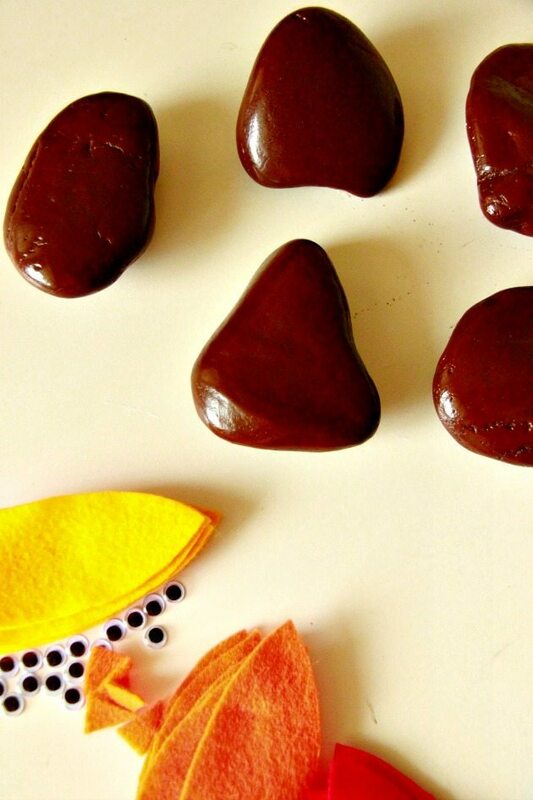 This makes a place setting any kid will LOVE.